We were taken from the stage by our hosts and taken to the Regency Park Hotel located in Mikocheni, Old Bagamoyo Road. At the hotel we were received by Hadija (The National chairperson, Tanzanian federation) and Masinde (federation member). March 8, 2014 We had the first day for the meeting. The program for the day was as follows a) Introduction of all the members present: Tanzania, Uganda, Kenya, Zambia and SDI b) Introductory speech from the hosts: Hadija c) Country presentations: Tanzania, Kenya, Uganda and Tanzania d) Minutes and review of the 10th hub meeting From the introductions, the hub consisted of 10 members from Uganda, 10 members from Kenya, 5 members from Zambia and 25 members from Tanzania. We also had Anni and Celine De Cruz from SDI as part of the hub meeting. The Ugandan team came with a councilor from Kampala municipality as part of the delegation. Therefore the 11th hub had at least two government officials as part of the delegates. This can also be used for saving schemes. The different sheets can then be put together into a book which the leaders can be using for different engagement forums. This then acts as a monitoring tool for the federation leaders and also as an advocacy tool when engaging the city leadership. Sarah from Uganda (also a member of the core team) updated the meeting on the resolutions that were made by the core team as a result of the last hub meeting. The core team met and agreed on the need to develop an agenda for each of the hub meeting. For instance the 11th East African hub agenda was agreed upon to be profiling. The core team also agreed on the need to develop new leaders e.g. exposure of other federation members and avoiding using the same people over and over again. The subsequent hub meetings will therefore be expected to bring on board new faces from the federation. The delegates should be chosen based on the hub agenda. For example the 11th hub was about profiling and most of the delegates were expected to be part of the profiling process in their respective countries. The members of the core team in East Africa are Hadija (Tanzania), Sarah (Uganda) and Muturi (Kenya) who have been tasked to give directions to the hub meeting. Others are Felista (from Kenya) and Hassan (from Uganda). Exchanges agreed on in the 10th hub – the leadership exchange request for Tanzania to Kenya/Uganda was called off because it was not strategic. Need to attach a concrete issue on any exchanges for it to be supported. The Kenyan sanitation exchange request to India was approved and they should be able to go to India to capacitate women leaders. Country discussions In the afternoon session, minutes of the previous hub meeting were read and approved as being the true account of the proceedings of the 10th EA hub held in Mombasa. From the minutes Some of the action points from the previous hub were Uganda - Carry out Municipal wide profiling in 10 cities; Follow up on identified savings schemes in the course of profiling; Monitoring and Evaluation Tanzania - Training of profiling by Dec 2013, City wide profiling of DSM, Leadership and Governance training on the management of the federation to Kenya and Uganda on the concept boundaries between NGO and federation, Improvement of Housing and sanitation Kenya – Strengthen existing partnerships with governments and academia and establish; Produce 3 cities of community profiles for community negotiations; Organize exchange on establishing and building partnerships, livelihoods and community profiling; Women empowerments in 3 cities to establish community construction companies to compete for government tenders and contracts; Lobbying for public land within 15 counties for community projects, key being sanitation; and Engage with county government in 15 counties to establish The Model of a people based county forums from village level to county level. Each country had to discuss the level of achievement of these action points as well as the challenges faced and support needed at the country level. Uganda has finished the municipal wide profiling for the ten cities. The major challenge raised by Uganda is the travelling modalities to the hub meeting. As the result of the night travel ban on buses within Kenya, Ugandan team had to travel for up to 36 hours. They had to spend two nights in both Kenya and Tanzania on their way to dares salaam. A discussion was therefore generated on whether the hub delegates should be reduced and people use the aircraft to cut down on the travelling time or to maintain the current hub set up. The overall consensus of this discussion was that the hub should retain the current set up where up to 10 people from each of the participating countries are able to attend unlike the previous hubs where only three delegates were facilitated to participate in the hub. In order to take care of Uganda’s request, the hub should be adjusted to allow resting before the meeting. An example could be people arriving at the hub at least 12 hours before the meeting. The delegates could also be allowed to have breaks in between the journey. This could involve travelling from Kampala/Dares Salaam and spending the night in Nairobi before proceeding with the remaining half of the journey the following day. This will reduce the fatigue unlike where people have to sleep in the bus and wait for the morning. Tanzania most action points were not achieved. For instance the leadership and governance training was cancelled since it was not well anchored within the wider federation agendas. The profiling training was to happen during this hub as was not possible to do it before March 2014. 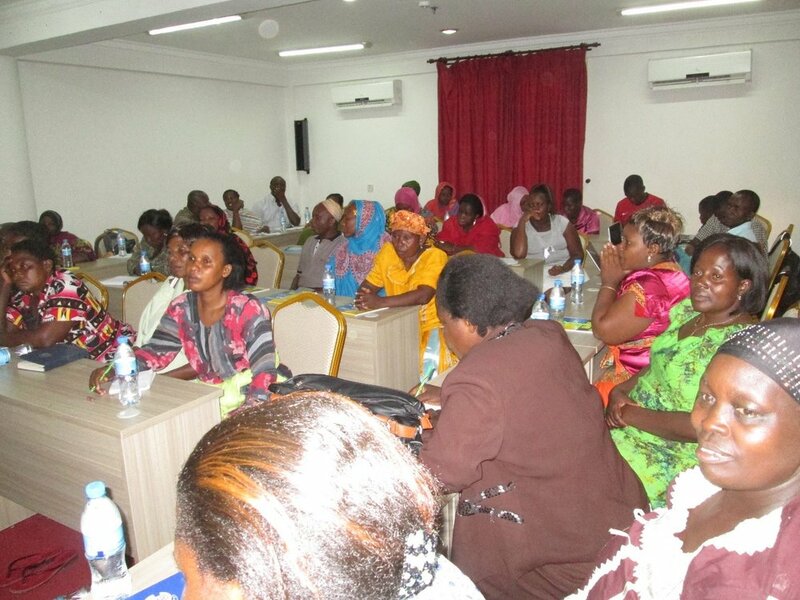 As part of the partnership strengthening efforts, the Tanzanian federation is thinking about organizing forums in which councilors and other local leaders will be invited to participate. This will then provide a forum for networking and sharing the federation issues with these authorities. Both Kenya and Uganda have had similar forums which were of the opinion that they are good in building these partnerships. In Kenya, there are breakfast meetings within the federation and county leaders in at least two counties. In Uganda, there has been such forum with councilors and they have been very fruitful. Tanzania was therefore encouraged to think on developing concrete agendas for these meetings so that they don’t end up making them political forums. Kenya achieved some of the partnership building action points as well as being in the process of signing MOU’s with at least two counties. The profiling exercise was achieved as agreed upon in the previous hub meeting. The major challenges as brought out by the Kenyans included: Lack of cooperation from the county leadership as there are leaders who take longer time to understand the federation processes. As a result of the new county system, there are also bottlenecks as there are a number of leaders who are still familiarizing themselves with their roles. This has therefore slowed down some of the processes that had been started before the county system came into place. There was a therefore need for support on the breakfast forums as well as exchanges for these leaders to increase the federation bargaining for the space within the county system. The Kenyan federation also needs support to sharing of the profiling report both at the local, county and national level and also monitoring and evaluation of the saving schemes especially those established recently. Zambia also shared some of the challenges it has been facing. They include implementation of policies at the country level. An example is the land and housing policies which are not favorable to the federation members. The federation therefore has still a lot of engagements that it needs to do with the relevant authorities so as to come up with friendly policies to the urban poor. They also felt that they have been lacking behind in most SDI processes such as profiling. They were advised to work closely with their support NGO so as to be proactive in SDI processes. For instance the profiling process was introduced at the same time to all SDI countries but only those that put their house in order in the shortest time possible have been able to do it so far. Therefore there is need to appreciate that no countries are prioritized in SDI process. All countries have equal chance. The other major challenge that they have been having is the sustainability of the loaning of the livelihood money. They lack the systems for revolving the fund and hence end up with insufficient funds whereas there is the growing demand from the members. There is therefore need to support the Zambian federation in establishing systems that will lead to the growth of the urban poor fund as well as sustainability of the loans. March 9, 2014 The agenda for the day included a) Explain the profiling process b) Division of roles among the teams according to the profiling areas c) Training on the data collection tools The Tanzanian federation explained how they have been doing the profiling process and how they intend to carry out these profiling. The previous profiles were conducted using the previous profiling questionnaire which was about two pages as compared to the current form which is seven pages. Therefore this was the first time they were going to use the new form for profiling and were anxious on learning the new tool and the experiences that will come from the community. They had identified 9 areas to work with in this process. They are located in two wards of Sandali and Mtoni. The Sandali settlements were Tindwa, Mamboleo A, Mamboleo B, Kibunga, Kisiwani and Mpogo. The Mtoni settlements included Relini, Mtoni and Saba Saba. A team of 15 people had been mobilized in each of the 9 settlements for the FGDs. Among the group included the village elders, the chairmen, the elderly male and female and the young people. The delegates were then to be divided into 9 groups of at least 4 people. The four people should include a federation leader from Tanzania, a profiling team member from either Uganda or Kenya, a professional person and a federation leader from either Uganda or Kenya. The profiling team member will be the leader of the group. Each group was then to pick on a person who will i) Lead the interviews, ii) Write down the responses, iii) Lead the GPS exercise The teams were first to meet the municipality leadership in each of the wards before the embarking on the exercise. Meetings were therefore organized both in Sandali and Mtoni where the local councilors were informed about the process and the importance of the exercise. The councilor from Uganda was very useful in discussing with these municipal leaders how the federation works with the Ugandan municipalities. The training of the data collection was led by the Kenyan team. The training involved the filling of the questionnaire, picking of GPS coordinates and tallying of key services and facilities within the settlement. The Kenyan team participated in the various sections of the questionnaire to explain what is expected of each question and how to ask them in way that can ignite the discussion. There was a health discussion especially on the tallying of the services and key facilities within the settlement. The Ugandan team has gets these figures through estimation. The structures are also obtained by counting them on the google earth. The Indian experience on the other hand is that they count for a given street and then they use that to estimate for the rest of the streets by multiplying the number per street by the number of streets. This works well for them since most of their streets are homogenous and what is in one street is likely to duplicate in the next street. The Kenyan on the other hand are able to count these structures as the profiling is happening and be able to get real figures which they can input in the sections of the form requiring these figures. The Tanzanian federation therefore had a choice to adopt a strategy that they can use to get these figures since the figures needs to be as close as possible to the real figures. The Ugandans were also challenged to reconsider how realistic are there figures to avoid generating reports that are farther from the reality. The Tanzanians agreed to do tallying of key services and facilities though at a later date once the questionnaires have been filled to get these figures and input them in the final report. In fact Celine challenged every country to look into the questionnaire in four different segments. They are: a) Questionnaire filling – a two to three hour FGD session at the community level b) Structure count c) Toilet and other services count d) GPS coordinates The team to go to the community was therefore restructured as follows to facilitate carry out three important roles of asking the question, filling the form and picking the GPS coordinates. i) SDI federation leader – a person who is conversant with the profiling process and who can be able to control the discussions. ii) National leader (Tanzanian federation) – a person who understands the politics of the ground and can be able to handle key issues emerging from the discussions. iii) Settlement leader – a person who comes from the settlement and is key in connecting with the people from the settlement. iv) Professional – non federation members who are useful in the profiling exercise. The rest of the delegates were then allocated randomly to each of the group for learning purposes as well as participatory role. Some were very useful in interpretation issues. For instance most Tanzanians do not understand English whereas most Ugandans do not understand Kiswahili. The Kenyans therefore provided an interface between the two categories of delegates. March 10, 2014 The program for the day was profiling of the nine settlements identified during the training session the day before. 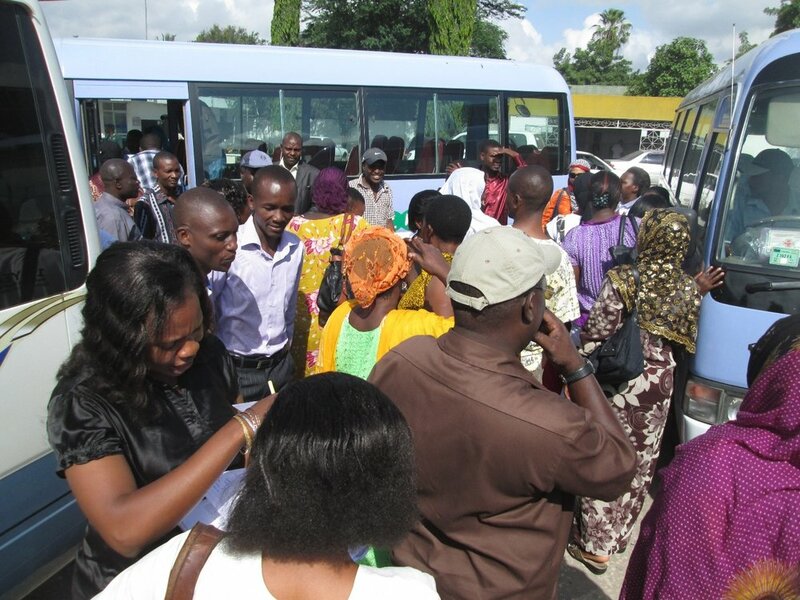 The teams departed from the hotel at 8.30 am in two teams to the two wards that were being profiled. Waste dumping within and around the settlement and also steep slopes that poses risks to the settlement due to its location. 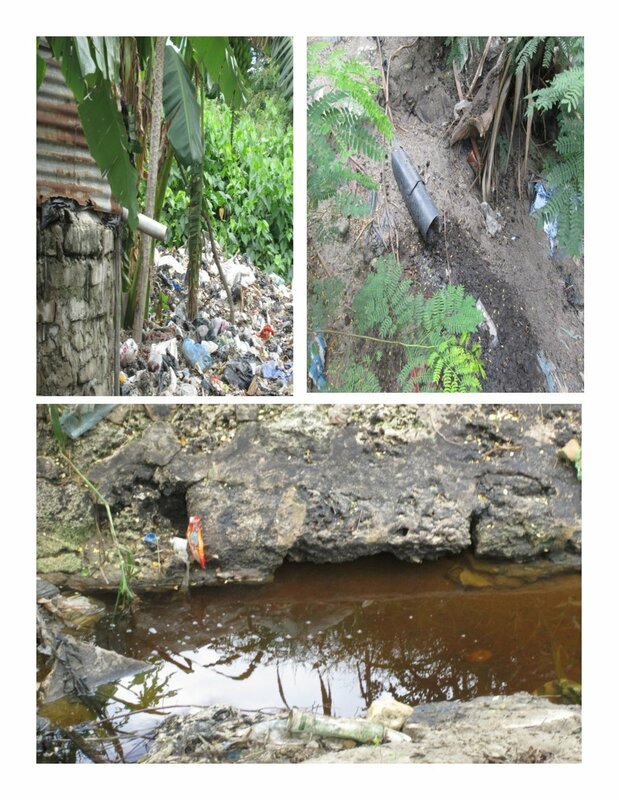 There is clear evidence of flooding during the rainy season as well as dampness as a result of proximity to the ocean. There is even a warning to the extent of people not being supposed to live near this location. The photos shown in figure 9 summarize some of these locational problems. Social problems There are wide spread cases of drug abuse among the youths. Most of these youths smoke marijuana and have established bases along the river where there are lots of tree where they can hide inside. There are also those who have established bases along the river. As you move across the settlement you come across many of those groups. Most of them are youths between 15 and 25 years of age. Most of them have also failed to continue with schooling and resorted to drug addiction. There are also cases of industrial hazards within the settlement. the rivers have been contaminated by oils released by these industries and the color of the water is yellowish. March 11, 2014 The day’s agenda was review of the profiling exercise carried out the previous day, discussing the challenges involved and way forward for the Tanzanian and Zambian federation. Each of the nine groups gave a report of their work highlighting the challenges involved. Some of the issues brought included a) Adequate mobilization – some of the groups had to explain the profiling process afresh to the focus group discussion. Most of the mobilized had no idea of what the whole process was all about and some even confused the federation to be a charity organization which had come to give them some goodies. Some of the experienced federation members from other countries had to assist in selling the idea to the communities. There is therefore need for a serious mobilization strategy to be devised for the Tanzanian federation to make the process a bit easier for the profiling team. Before profiling happens there is need for forums to be organized at the community level to familiarize the people on the federation activities as well as importance of the federation data collection tools. b) Familiarization with the questionnaire – some of the groups had a challenge of getting the right answers as the person asking the questions was reading them direct from the questionnaire hence making it hard for people to understand. Since the translation from English to Kiswahili may have lost the meaning of some of the questions, there is need for the person asking the questions to be fully aware of the questionnaire so that he/she can be able to paraphrase it in a language that is understandable to the people. c) Getting the right audience – some groups had more men than women and hence even in answering the questions there was a challenge as many of them were not fully familiarized with their settlement issues. Therefore in order to get the right information, there is need to agree on the categories of people that need to be mobilized for the FGDs. This will be useful in getting the right audience for the settlement. 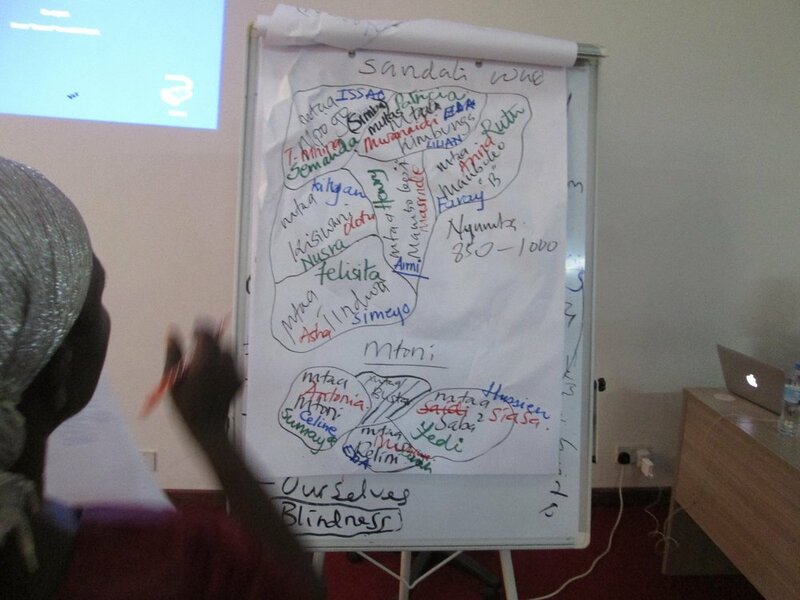 The Tanzanian federation was therefore given a task of improving their profiles based on the discussions of the day. They were also challenged to finish up the remaining parts of the questionnaire such as tallying information as soon as possible so as to compile a complete report for the nine settlements profiled. Later on Anni and Simiyu took through the delegates the data entry and preparation process and also some of the expected outputs from the profiling data. They therefore led the delegates through a) Data entry process through the ENKETO form b) Preparation of the settlement boundaries map based on the GPS coordinates c) SDI data platform d) Examples of analyses carried out on the data both in the SFI and Indian visualization websites The data platform is still under construction and testing and hence the federation members together with their technical teams were advised to keep on interacting with the datasets to find the best possible avenue to share the federation data. This will include the symbolization which the federation can be able to easily identify with, the key issues that needs to be analyzed on the website and the levels of packaging the data (e.g. at the city level or municipality level). The maps for the nine settlements profiled are shown in the subsequent figures. Travelling back The journey was therefore a success and the team thanks God for granting us journey mercies as well as the entire SDI family for supporting and standing with member affiliates throughout the journey.